We all know that real estate listings with pictures have a high possibility of selling than the ones that don’t. Using photos with well-written copy helps your clients in choosing their ideal home. However, Video takes real estate to another level. Below are a few statistics that will make you want to use videos in real estate. Nowadays, recording a video shouldn’t be complicated or difficult. Creating a video is as easy as clicking on a button on your smartphone. And with tons of great, easy to use, and inexpensive video editing tools available in the market, videos are becoming easier to create. Let us see some of the videos that are being used in the real estate vertical. Property listing videos are the most used videos in real estate. As videos quickly establish an emotional connection, users are instantly getting attracted to property videos. Emily Kellenberger, a Los Angeles Realtor uses property videos to list the properties. These videos showcase a property and its surroundings. You can also focus on the highlighted areas and amenities of the property to grab more attention. Property videos are appealing, engaging, leave a lasting impression, and drive inquiries. You can easily upload these property listing videos to your website or even share it on your social media. You can also add the video to property listing websites and make your listing stand out from others. Every prospect who wants to be associated with you wants to know that you are someone they can trust and rely on. And no one knows you better than you. The best way to convey what kind of a person you are is by creating an agent profile video. An agent profile video is a quick introduction about who you are and what you do to help real estate buyers and sellers. The objective of an agent profile video should be to showcase your story, values, and engagement in the community. You can also show a unique aspect of your character, life, and your experiences that your audiences can relate to. The right way to go about the video is, to be honest and confident. Once you’ve created your profile video, you can use it share it with your prospects through an email or even share it on your social media pages. 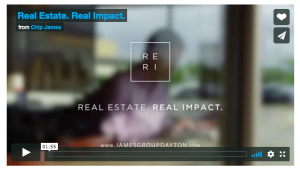 Caption: Chip James, a realtor, has created a profile video describing his work. Anyday testimonial videos are more engaging and personal when compared to textual reviews. Testimonial videos are the best way to learn about a company or a professional. It communicates who you are and what value you bring as they are genuine and help you gain your customer’s trust. If you have a great working relationship with any of your clients and if they are happy working with you, then, a quick testimonial video from them can go a long way. Nothing works better than an impressive testimonial video from one of your happy and satisfied customers. Such customers are the best advertisers for your company. Apart from attracting your prospect’s interest, testimonial videos also help in building credibility. Once you record a few customer testimonial videos, you can easily share them on your website, landing pages, emails, and social media platforms. These are just a few of the most commonly used videos in real estate. Now, let us see the tools that are rocking the real estate industry. 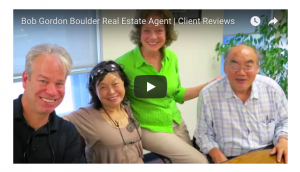 Caption: Boulder Colorado, a realtor, has an amazing testimonial video (click above) from his happy clients. 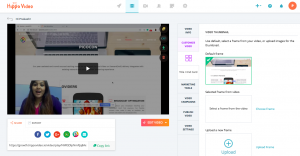 Promo by Slidely is an online software app that lets you create videos in a jiffy. It aims to deliver a user-friendly video creation solution for users. Promo by Slidely comes with a lot of built-in themes and multiple styling options which includes different fonts, colors, motion graphics, animations, and filters. 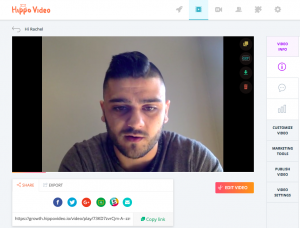 You don’t even have to be a video expert to create videos with Promo by Slidely. This platform also allows users to customize their videos with text, images, captions, voiceovers and background music. All that you have to do is upload your graphics, type text, and choose a theme and you are good to go. Promo by Slidely gives you tons of styling options to choose from. You can also create videos for various platforms by selecting from a choice of a portrait, landscape or square video depending on your requirements. Promo by Slidely comes with an instant preview technology that enables users to review their video before downloading or sharing. It allows users to download videos to their system, or share videos directly to their social channels. AdLaunch is one of the easiest tools available for creating online videos and video ads. AdLaunch built an easy-to-use platform on which anyone without any experience in videography can create stunning video ads. This platform provides you with tons of video ad templates. You can also customize your videos with messages, logos, and call to actions. It also lets you add music to your video. One of the best features of Adlaunch would be that you can duplicate different versions of one video to run A/B testing. This feature would be most useful for marketers to decide which Video Ad performs better. 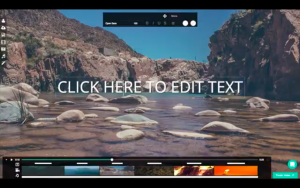 Apart from all of these wonderful features, Adlaunch also lets you edit, trim, and render modified video contents with their online video editor. Hippo Video is an online video marketing platform. With Hippo Video you can record and edit videos online. It doesn’t stop there. Hippo Video helps you spread brand awareness by letting you upload your logo in the Video player. You can also customize your player according to the colors that resonate with your brand. You can also add Lead generation forms, Quizzes, polls, and CTA’s to your videos to drive more conversions. With Hippo Video, getting your customers to record a customer testimonial is easier than ever. You just have to share a guest link with them and your customers don’t even have to be signed up with Hippo Video to record a video. For you to move ahead with your video marketing strategy you have to know how your previous videos are performing. 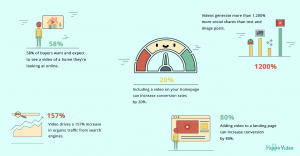 Hippo Video lets you gain analytics of your video. Yes! You can see how many times your video has been played, the number of unique visitors, and the visitor’s geographical locations. Are you ready to get started with your real estate video marketing game? Go ahead and start creating amazing videos for booming your real estate business and increasing your customer database!